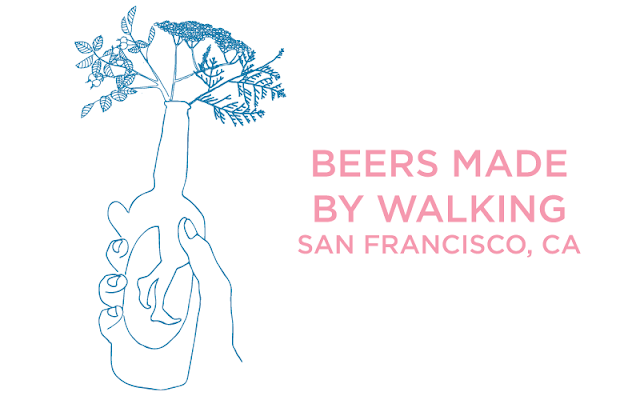 Come out Sunday, October 28 to taste placed-based craft beers from local brewers inspired by Bay Area landscapes at the fourth annual San Francisco Bay Area Beers Made by Walking Tapping Event! The hike-inspired beers were created as part of a collaboration between local brewers, Beers Made By Walking, and Sutro Stewards. Sutro Stewards led the public and local brewers on hikes throughout Mount Sutro in the geographic center of San Francisco. ADMISSION & TASTING: Ticket includes 10 4oz tasters, entry, and a commemorative tasting glass. Each brewery is donating their unique beer for this event, so you get to drink for a good cause: event proceeds will support the Sutro Stewards' education and stewardship programs. Cheers! PLANT HIKE: A limited number of tickets are available for a pre-tapping hike to discover Mount Sutro, our native plants, and landscapes! The hike will be about one mile on dirt trails, and will end at the tasting event when it opens at 2 PM. NURSERY TOUR: A limited number of tickets are available for a pre-tapping nursery tour to learn about our native plants, including those used in the beers! The nursery tour takes place at the Sutro Native Plant Nursery. At the end, we'll walk to the tapping event, about five minutes away.